Cryotherapy significantly lowers skin temperature for a brief period of 2.5 – 3 minutes. There is a new therapeutic trend growing nationally, which could become very popular for the Desert’s summer residents. It involves whole body ‘chilling’ to relieve achy joints and bones. It’s called Whole Body Cryotherapy and it is as popular in Europe as massage is in the US. The science behind cryotherapy is that it significantly lowers skin temperature for a brief period of 2.5-3 minutes. The dramatic cooling effect activates the immune system, prompting each organ in the body to heal and repair itself. The results can increase circulation, metabolism, detoxification, tissue repair and immune function. During cryotherapy, the skin’s sensors send a distress signal to the brain which then draws blood to the body’s core. The blood picks up oxygen nutrients and enzymes needed to survive. When the session ends, the body sends this oxygen–rich blood out to fatigued muscles. What does it take? Before entering into a six-foot tall chamber, a client puts a pair of socks on their feet and hands, takes off all jewelry and is asked to totally be dry, so that articles of clothing don’t stick to the skin. Next, their skin temperature is taken to be compared to when they exit the chamber. Typically there is a 30-degree difference. Once in the chamber, liquid nitrogen is blasted out at least 5 times during the 2.5-3 minute treatment. The client is instructed to keep walking around in small circles, wiggling their fingers and toes and creating small circles with their arms. The nitrogen feels extremely cold and it is typical to shiver at about 20 seconds into the treatment. Sessions are always monitored by an attendant, and can be stopped immediately if a client feels too uncomfortable. After the treatment, the skin temperature is taken again and the client is instructed not to drink anything warm for 2 hours afterwards. The average temperature for treatment ranges between -140 to -170 degrees Celsius. The only contraindication from using whole body cryotherapy is if you have a heart condition. Because of the sudden rush of blood through the entire body with the rapid temperature change, blood pressure might be affected, and potential cryogenic patients must be cleared of any heart conditions by their primary care physician first. To gain maximum relief from achy joint pain, 10-12 successive cryotherapy treatments are typically recommended, (ie. 3x a week for 4 weeks and then 1-4x a month thereafter). For recovery during sports training, 1-2 treatments a week and 1-2x a month thereafter is recommended. There are many elite athletes who experience immediate results with their recovery and who use cryotherapy daily as part of their routine. With this type of training, a one-month break is recommended after a month of treatments. Therapy sessions run between $50-85 a session at most centers. As a therapy that helps the body heal itself, whole body cryotherapy is a popular and safe alternative to medications for aches and pains. Michael K. Butler B.A. ;P.T.A;CSCS*D RSCC*D PES;NMT, is co-owner of Kinetix Health and Performance Center in Palm Desert. He holds a state license as a physical therapist assistant and National Certifications with Distinction as a strength and conditioning specialist through the NSCA. He is also a certified full body Active Release Therapist. For more information: 760-200-1719 or www.kinetixcenter.com. Are you located anywhere near Palm Desert, CA? Has this treatment been used for Rheumatoid Arthritis? Thank you, Judy. Yes, Cryotherapy can be found at Kinetix Performance Center in Palm Desert. Their phone is 760.200.1719. 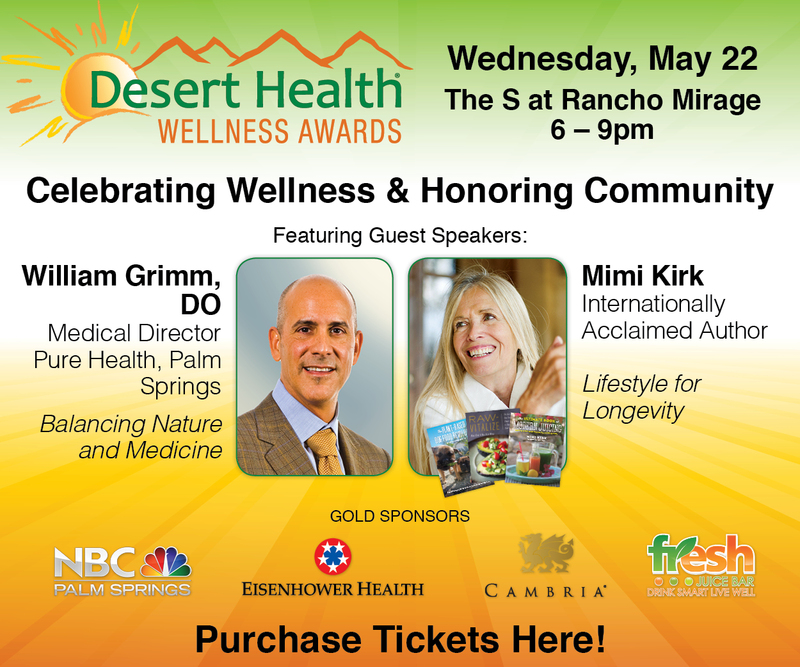 Desert Health is a local publication in the Coachella Valley so all resources are local. You can pick up a copy at any major grocery store or other location. I tried the full body cryotherapy and facial in Texas. It was unbelievable for my pain as I have RA and the facials were great. I saw a definate difference for my face and neck, I am 72. I had 4 treatment each, 4 days in a row and they were much less in Texas per session.